Orange sweet rolls are a family favorite. This recipe has been around for some time now. When I was in my teens my Great Aunt Francis came to visit us. She was an aunt on my mother’s side. To tell the truth I don’t remember too much about her visit. It was a long long time ago, too long ago to mention. I do remember that she did do some baking while she was visiting my family. You see I come from a family of wonderful bakers. I am not sure how many generations it goes back to, but the love of baking has been passed down from generation to generation. Now to get back to my Great Aunt Francis’ visit. The one thing that I definitely do remember about her visit was the fabulous orange sweet rolls that she baked for my family. 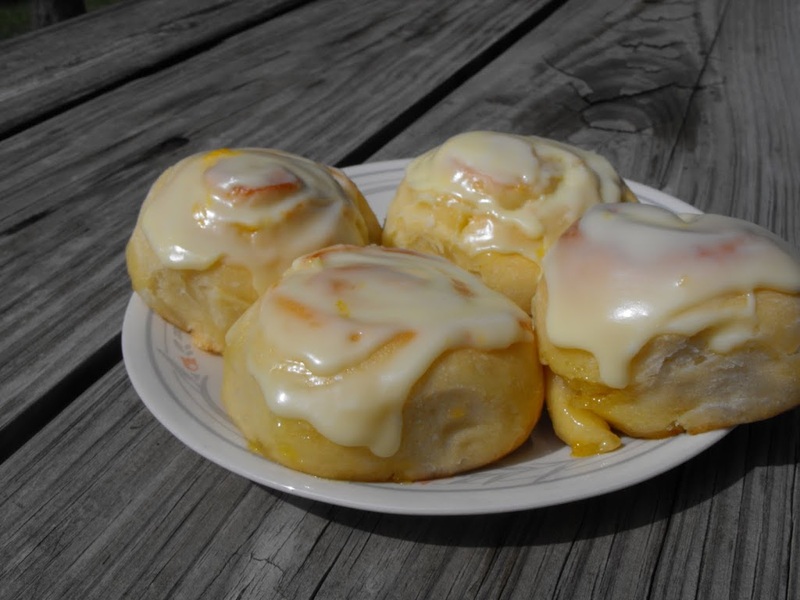 They were so delicious that I still make them to this day and my family would agree that orange rolls are their favorite sweet rolls that I make. 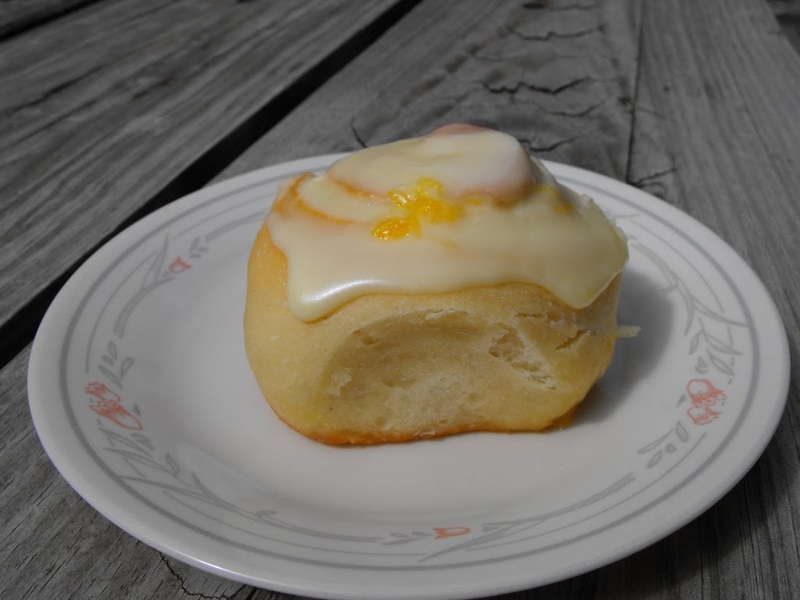 The orange flavoring is wrapped around the sweet roll dough and then more orange is added to the frosting. If you are a lover of oranges you will think that you have died and gone to orange heaven. I am not sure but it might be said that one of the reasons Mike married me is because I could make orange rolls. He loves orange rolls!!! In a large mixing bowl, combine 2 cups of flour, yeast, 1/2 cup sugar, and salt; mix well. In a microwave bowl, heat milk, water, and butter until very warm (shortening does not have to melt all the way). Once this is heated add to the flour mixture and add eggs. Blend by hand until everything is mixed together. By hand, gradually add enough of the remaining flour to make a soft dough. (You want the dough to the point that it just sticks to your hands a little bit). Knead on a floured surface until the dough is smooth and workable. Place the dough in a greased bowl turning to grease the top. Cover and let rise in a warm place until light and doubled, 1/2 hour to an hour. While the dough is rising prepare the filling. In a mixing bowl combine the orange rind, stick of butter, and sugar; mix well. Set a side until the dough is ready to roll out. Once the dough has double divided into 2 parts. Grease the surface that you will be working on with shortening. Pat one of the parts of dough into a rectangle to about 12×9 inches. Spread half of the orange filling evenly over the dough. Start with the shorter sides and roll up tightly. Pinch the edges to seal. Cut into 12 slices. Placed in a grease 13×9 inch cake pans. Cover and let rise in a warm place until the rolls are almost doubled about 30 minutes. Bake at 375 degrees for 20 to 25 minutes or until golden brown. Let rolls cool slightly and frost with orange frosting. 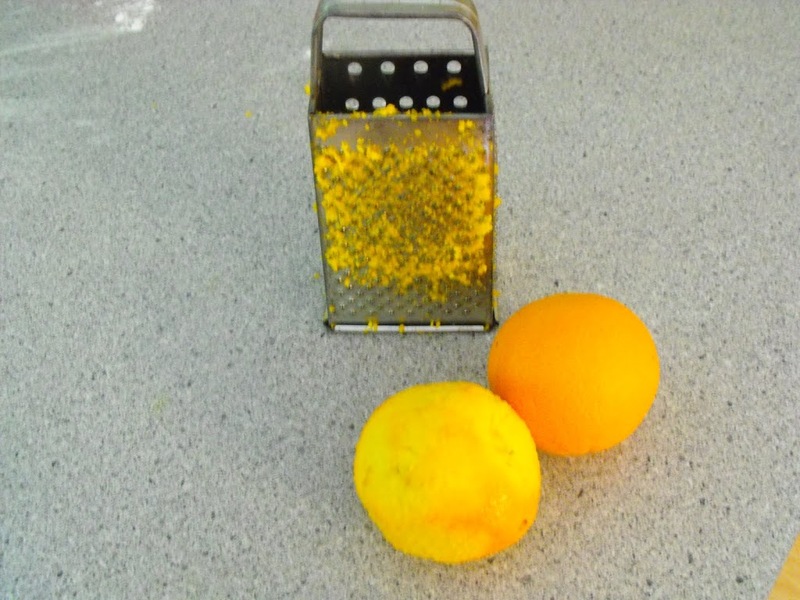 Squeeze the juice from the orange that you have used for the grating of the rind. Combine the powdered sugar, butter, and salt; mix together. Gradually add the juice of the orange until you the correct consistency. Beat until smooth. Those beauties would quickly disappear in my home. YUM! Those orange buns look so fresh and wonderful! These sound wonderful! Such a nice change from the traditional cinnamon roll!